The Sandal is a medium sized boat, with the comforts of home for more mature travellers who want a proper bed and above all onboard toilets and showers but who do not want to lose the sailing experience. 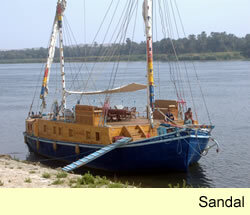 The Sandal has also been sailing on the Nile for a long time but recently some of these working boats have been converted into spacious and attractive holiday cruisers. There are many different sizes depending on the conversion; the largest has berths for 8 persons in 4 double cabins with 2 bathrooms and plenty of storage. 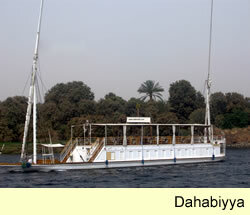 The attentive crew make you feel like a Pharaoh with 3 meals a day, snacks and drinks. 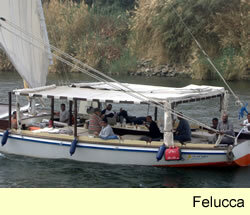 Suitable for that special romantic honeymoon or for a small group.